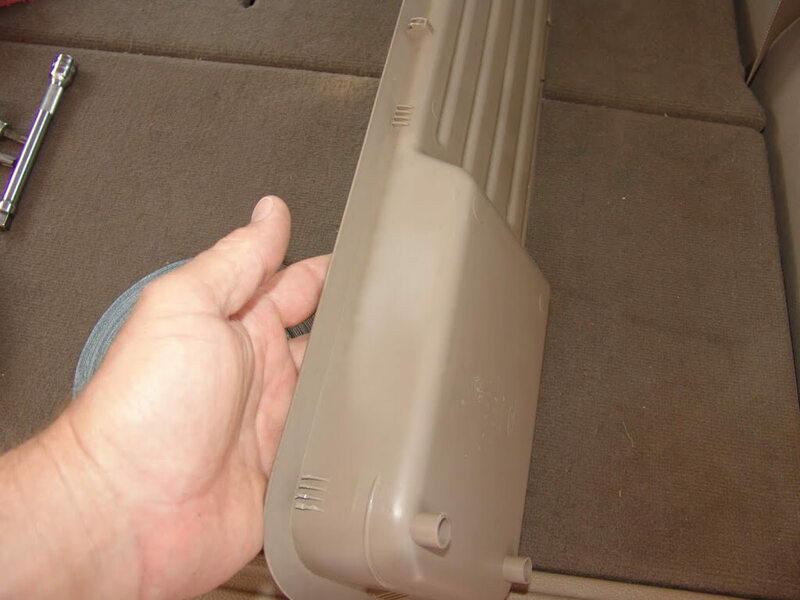 This 2003 Ford Expedition came in because of an annoying clicking sound from the back of the vehicle. The customer stated that if he would constantly adjust the rear temperature setting the noise would go away for a little while. He was planning on taking a thousand mile trip soon and did not think he could stand driving that far with the clicking sound driving him and his family crazy. Well in telling me his problem, he actually to me what was wrong. 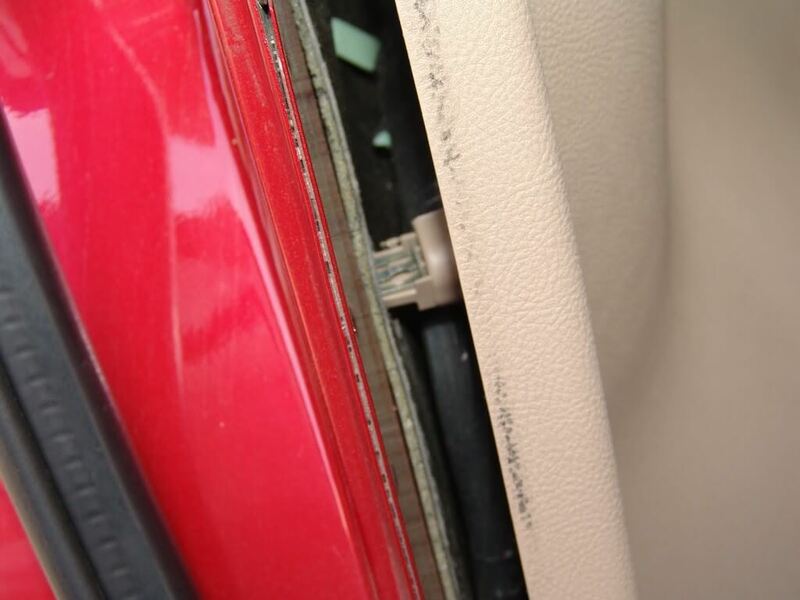 There are damaged teeth in the rear blend door actuator. I have dealt with this issue before. 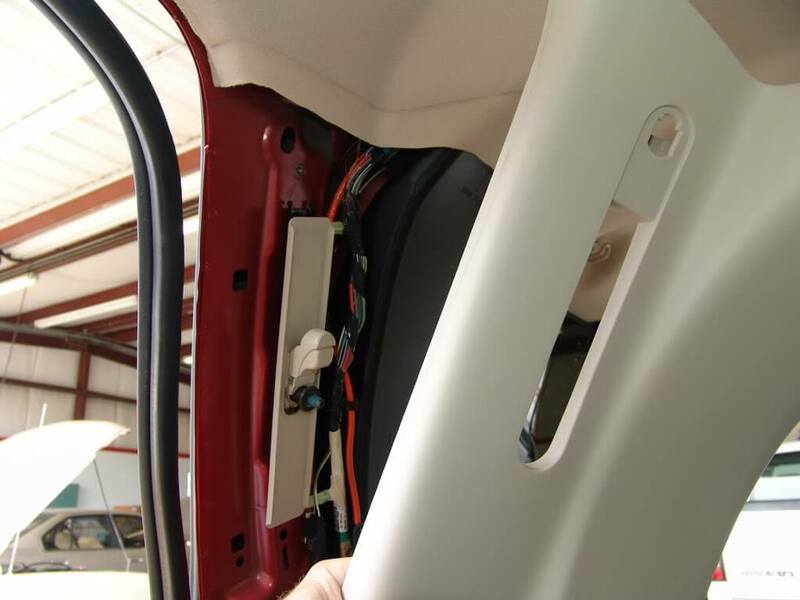 Multiple panels have to be removed to reach the rear blend door actuator. 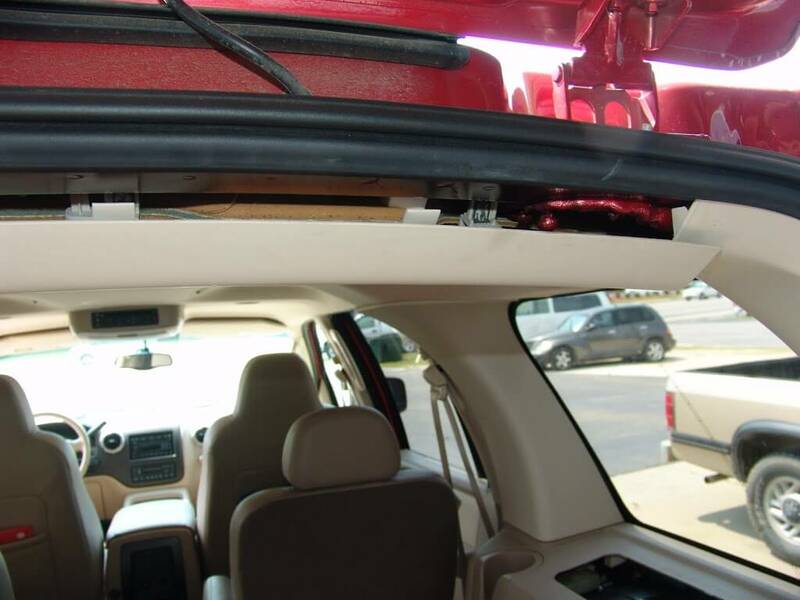 Start with the rear overhead panel. It just pulls straight down. Make sure your hands are clean. The interiors are generally light in color and you will notice smudges as soon as you look through the rear view mirror. 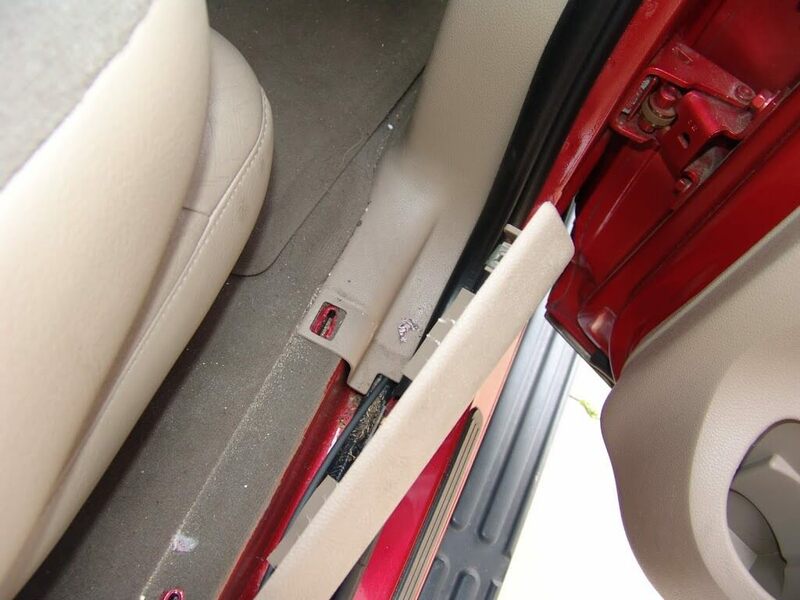 Next lift the rear floor trim panel as shown below. 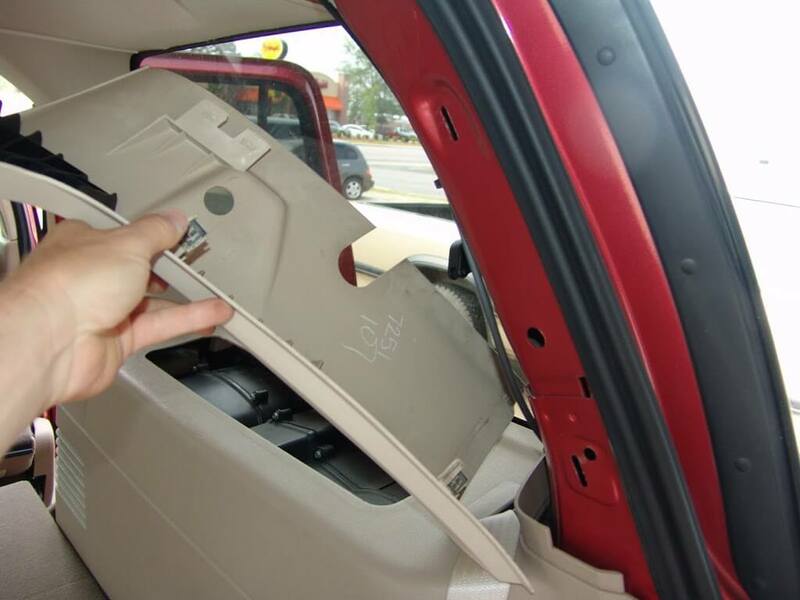 Remove the right rear seat belt bolt for the third row seating. 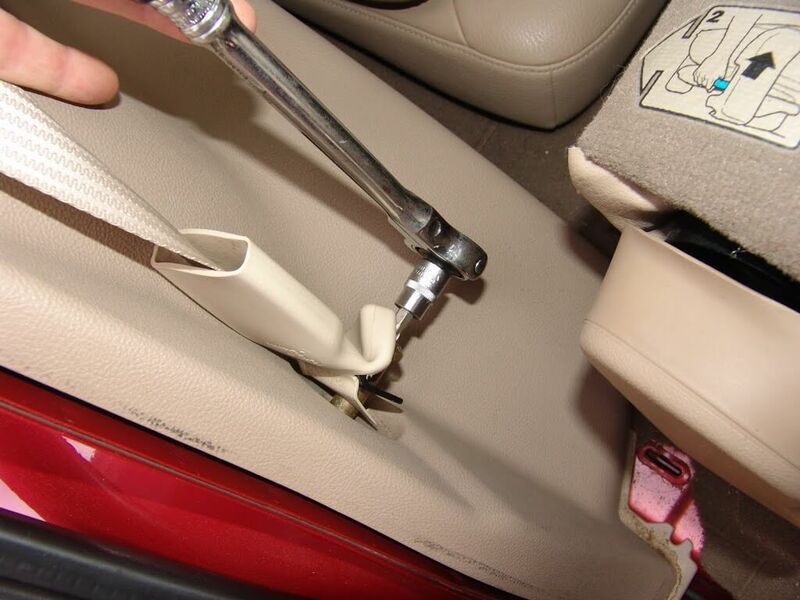 Remove the right rear seat belt bolt. 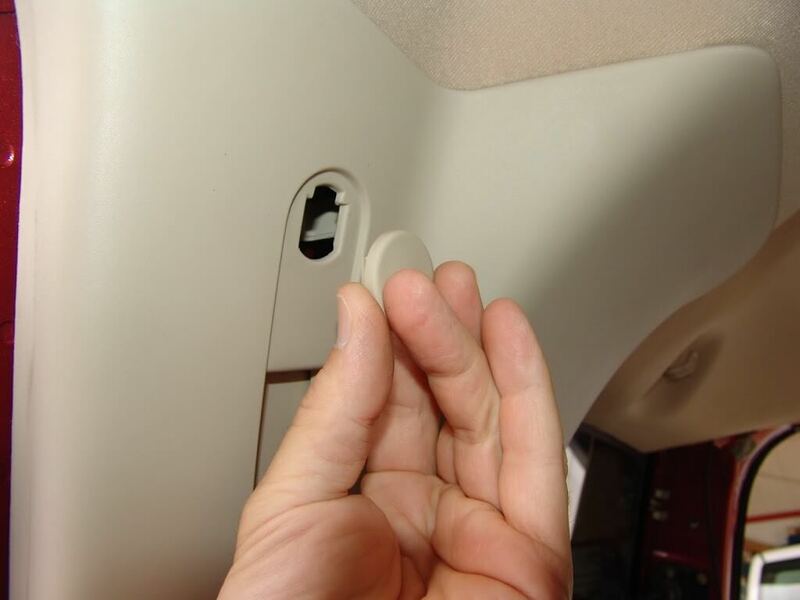 Remove the trim plug from the panel. Start unsnapping the upper right rear trim panel. < There are clips at the front and the back. 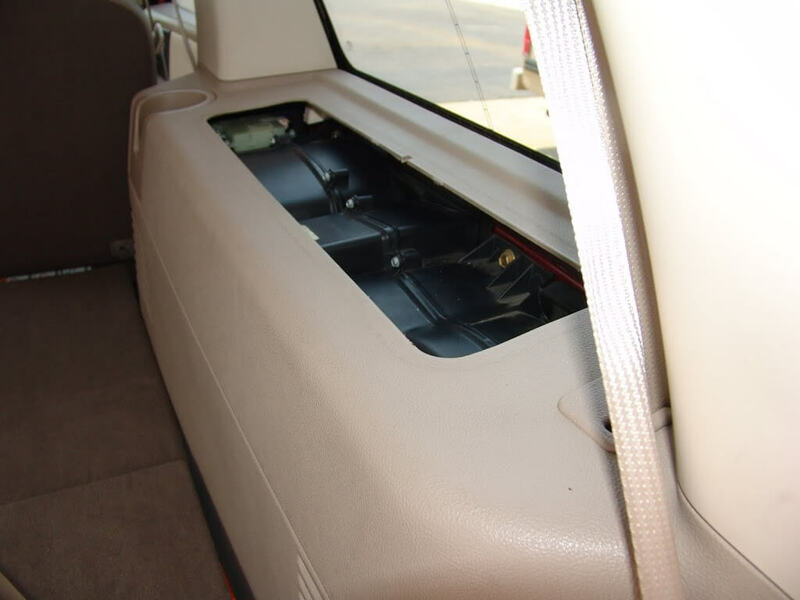 Fold down the rear seat and remove the seat belt anchor bolt. 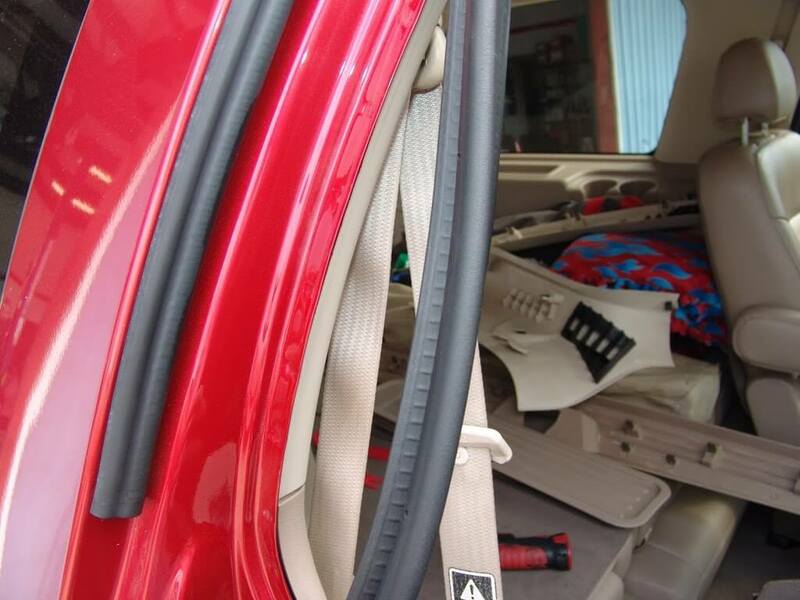 Loosen the weather stripping at the rear edge of the right rear door. Unsnap the lower trim panel clips. 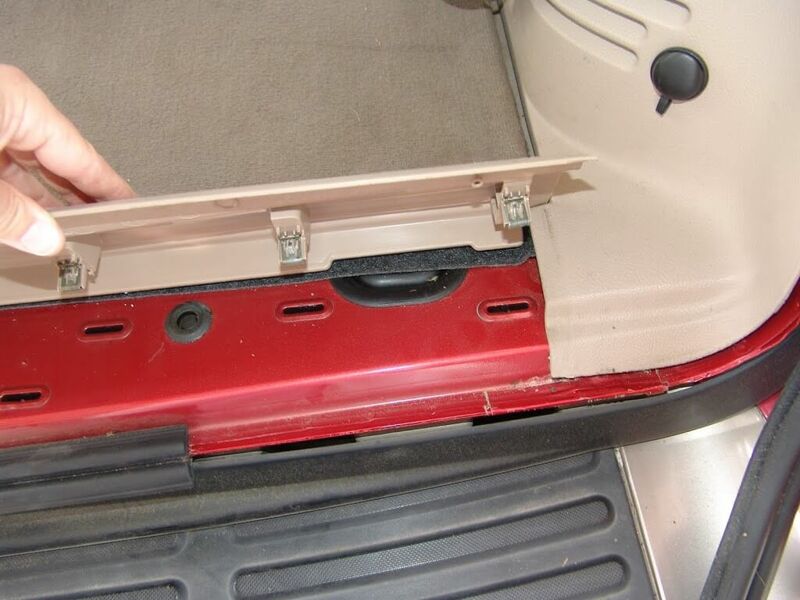 Remove the right rear sill plate from the floor. 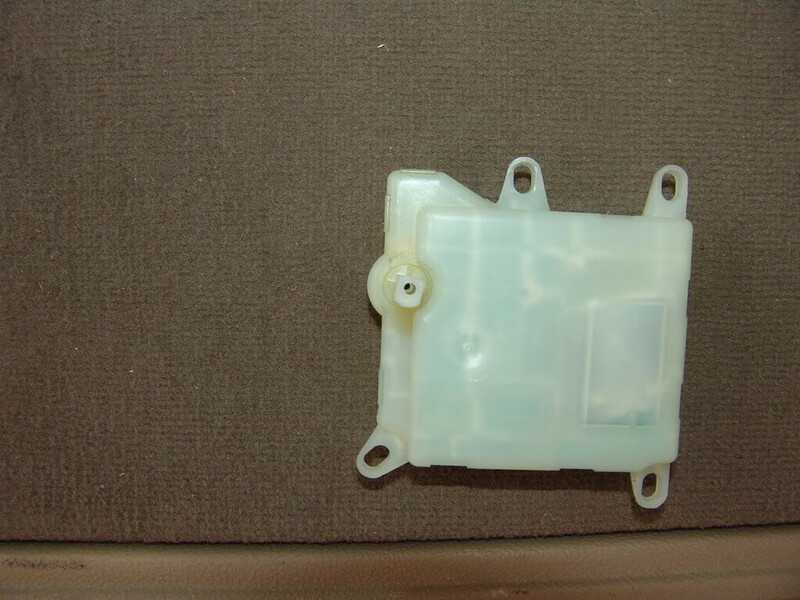 I removed the cup holder/storage tray to gain access to the actuator and to be able to show you better images. I regretted doing this as I had quite a hard time getting the panel completely seated when I re installed it. 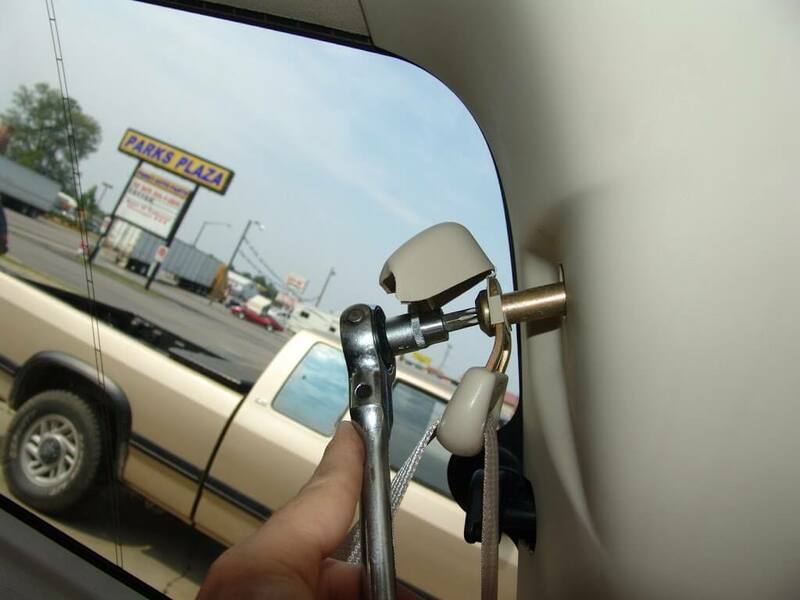 The blend door actuator. 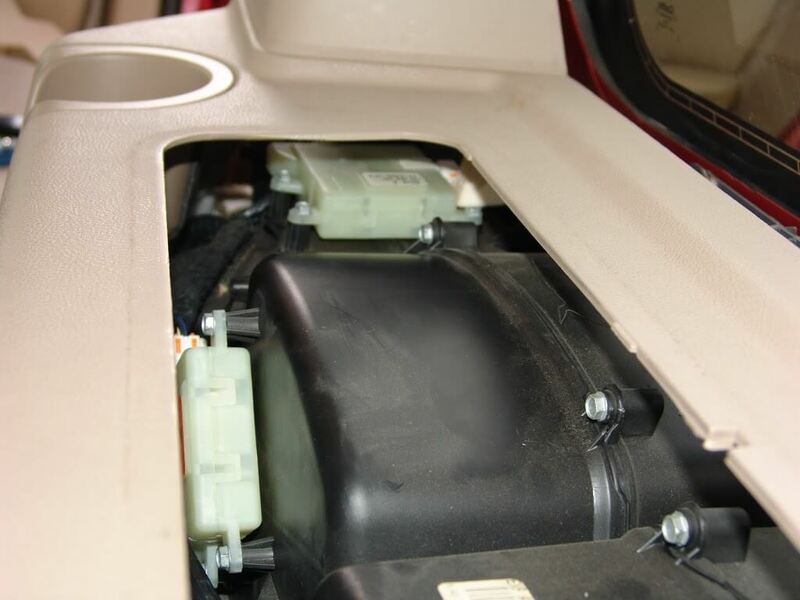 The actuator directly in front of it is the rear mode actuator. The panel I mentioned removing earlier. 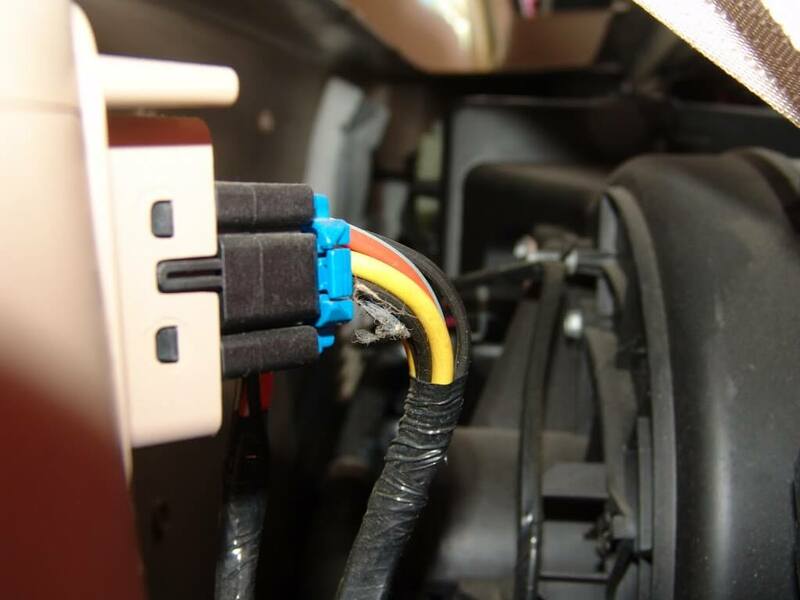 Repair manuals do tell you to remove this panel to change the mode actuator. Since I had removed that panel anyways, I removed a couple of the screws through that opening. 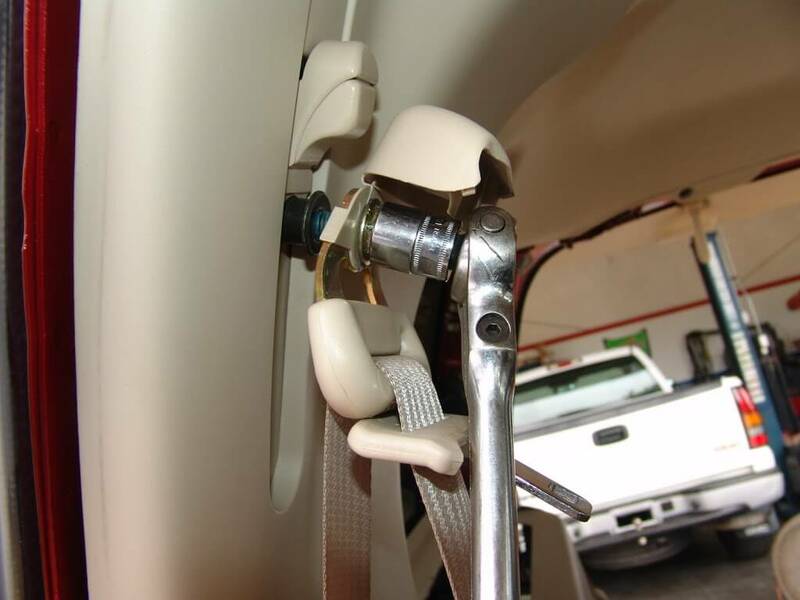 I also had to use a long reach to remove the other screws after pulling the panel away from the side of the vehicle. Just far enough to work. There are four screws in all and they all have 8 mm or 5/16″ hex heads. 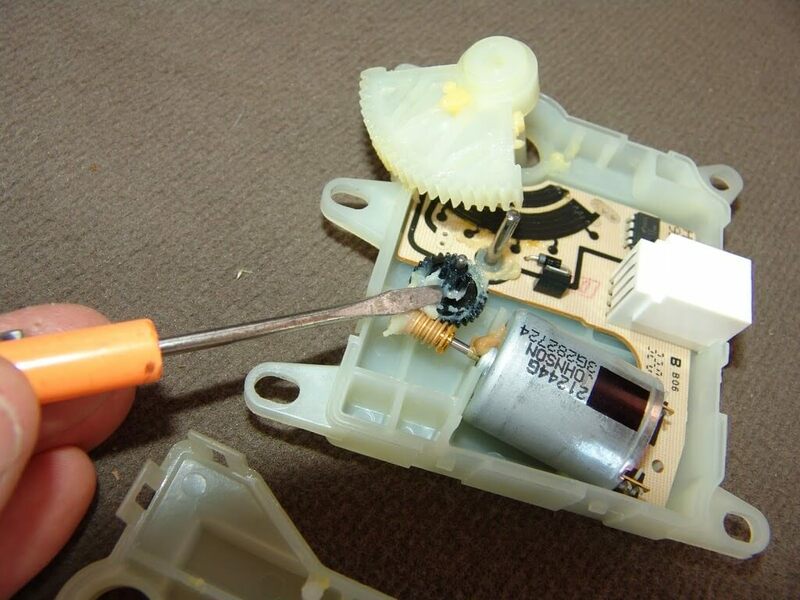 The actuator once it is removed from the vehicle. Notice the drive shaft is “D” shaped. There are two versions available for this application “D” and “Cross” shaped. I would recommend removing the old actuator before ordering your replacement actuator. The front side with the original part label. 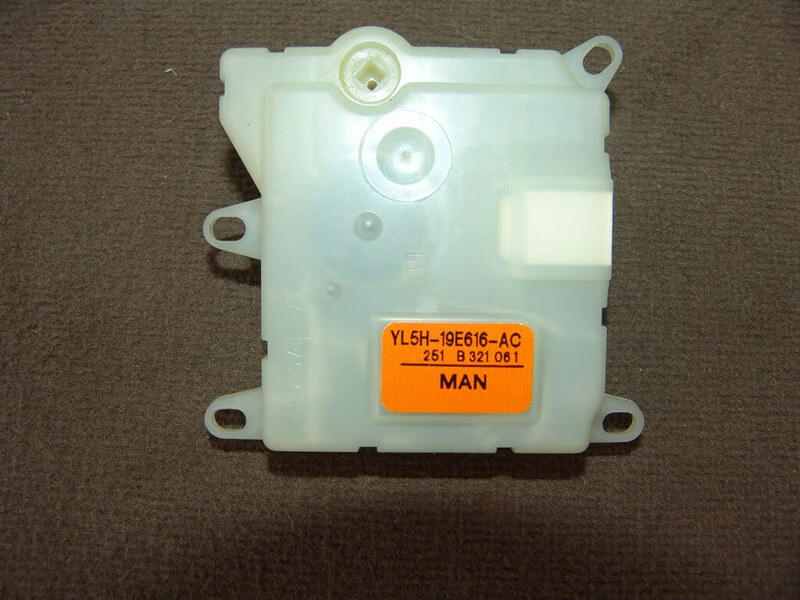 Part number YL5H-19E616-AC. 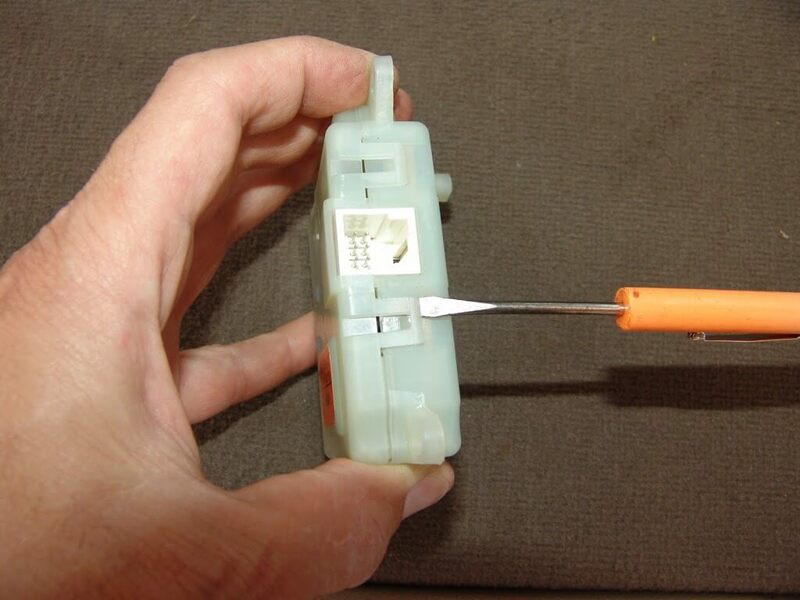 I wanted to show you what the actual failure was so I released the clips around the outer edge of the actuator. 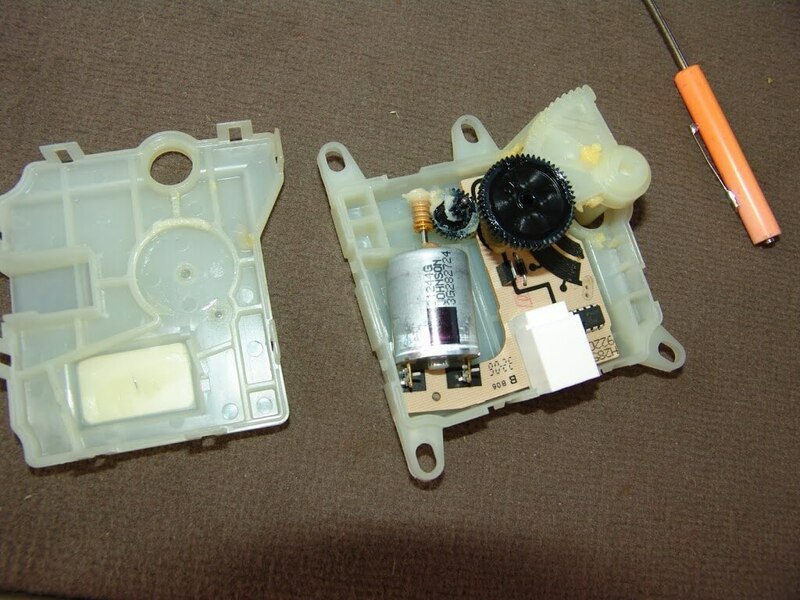 The actuator split in half. It is a little hard to see but if you click on the next picture to enlarge it you should be able to see the broken/ missing gear tooth that I am pointing to. I totally overlooked the second actuator for the temp. control. Both were bad. Both have been replaced and the rear AC is working. Thanks again for such an easy post to follow…I will check your website if I run into any other problems. Yes, there are two actuators. One is for temperature control and the other is for mode control. They are both shown in the fourteenth picture. I have a 2003 Expedition. I changed the top actuator as per you instructions, and I am still hearing a clicking noise deep in the body of the AC unit. 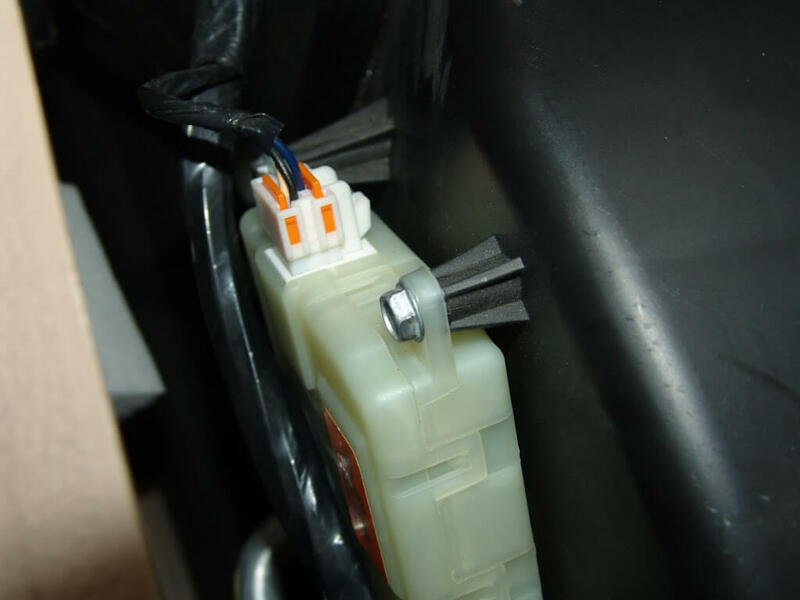 When I removed the actuator and close the door manualy the noise stops…I’m totally confused. Are there two actuators as one post suggested. Instructions were easy to follow with successful outcome. 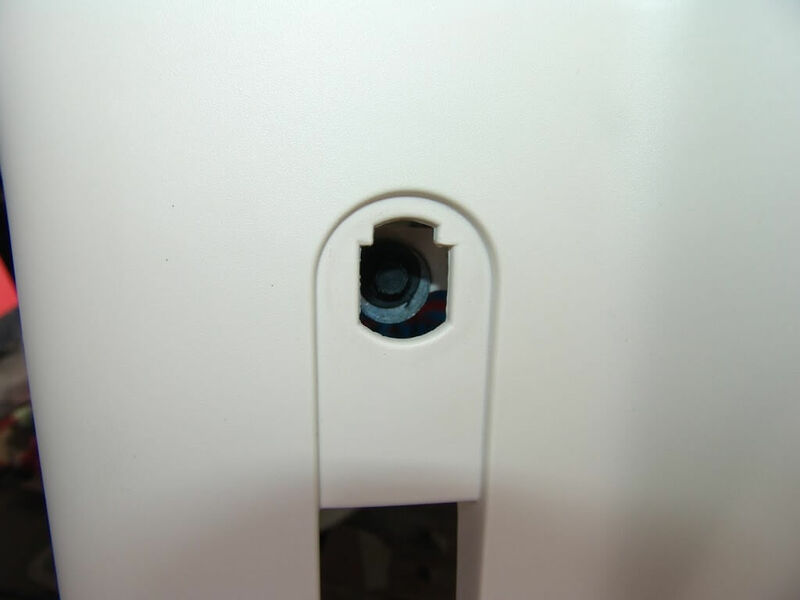 The actuators normally click or tick. The noise that you describe sounds more like a blower issue. Does it change when you increase or decrease the rear blower speed?